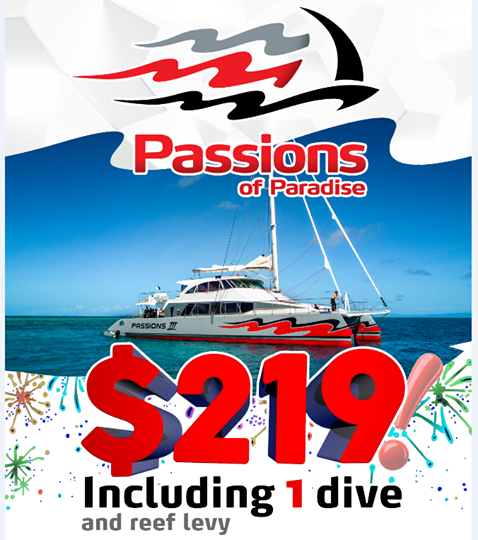 Passions of Paradise are pleased to announce our brand new Dive Rate!! 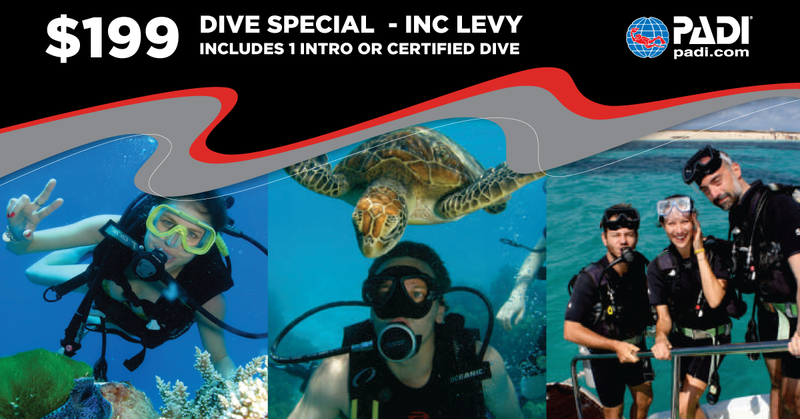 At only $219, this great new online price includes an Introductory dive or a Certified dive! Book now to take advantage of this great price. Come and dive the Great Barrier Reef on Cairns’ newest catamaran! Only $219 inc. Reef Levy. This price is available for online bookings and valid for travel at any time.